Dekarian “Killa D” Ashley was Born in Minden, La. He began his musical aspirations at 12 Years old, with only a Karaoke Machine and a microphone. Growing up, he drew inspiration from great rap artists such a Notorious B.I.G., Tupac, UGK, and others. With so many negative influences in the world, Killa D decided to use his music as an escape to keep him from falling victim to the streets. 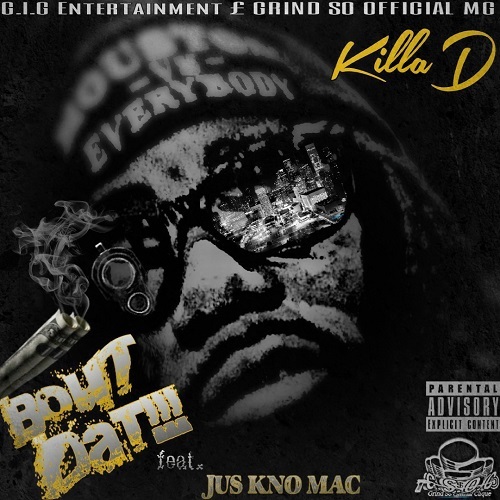 Shortly after relocating to Houston, Tx, Killa D attended various networking events, where he met industry professionals to help him further his career. In 2014 he signed an 2 year management contract with Grinding Independent Gangstas (GIG ENT) to release his debut single “Dont Be Afraid (Wurk!)" feat TheazyStaccs. The project grew great attention in Texas. To start of 2014, his second single, “Dont Be Afraid” gained an even greater response, getting regular spins in the clubs. As always, Killa D is currently working on his next great project that will get people talking. Killa D persevered from a life threatened by the streets, to becoming a an MC with a message and a purpose.